Had the coup plotters led by Lt. Col. Buka Suka Dimka not noticed the door of General Murtala Muhammed's Mercedes Benz car open minutes after it was sprayed with bullets from AK-47 assault rifles, triggering another round of firing, perhaps the late Head of State would have survived the brutal attack. The lone survivor and Orderly to the late Head of State, Staff Sergeant Michael Otuwu, broke his silence in a highly emotional interview with The AUTHORITY Daily, nearly 40 years after the tragic incident. According to the Orderly, on their way to work on the morning of Friday, February 13, 1976, the Head of State left his personal house in Ikoyi and was headed to work in Dodan Barracks, the seat of government, which he said was being renovated at the time. Otuwu disclosed that beside the Head of State was his ADC, Lt. Akintunde Akinterinwa, himself (Otuwu) directly seated in the front passenger's seat, with Sergeant Adamu Michika behind the wheels. According to the Orderly, as the unsuspecting car of the Head of State stopped before a row of cars at a junction, he noticed a man in a traditional attire, babanriga (he later identified as Dimka) who approached the car, removed the flowing robe and pulled out an AK-47 rifle, shooting the driver in the head point blank. According to the Orderly, having disabled the car by killing the driver, other soldiers clad in robes, ran towards Murtala's car and opened fire. "The Head of State, his ADC and I all ducked while the shooting lasted," narrated the Orderly, sobbing uncontrollably as he recalled the traumatic incident. After the shooting, Otuwu continued, he heard the gunmen running towards the Radio House. A few minutes later, he continued, he noticed that the injured ADC opened his door, apparently to come to the aid of the equally injured Commander-in-Chief. According to the Orderly, the opened door alerted the assailants that the occupants of the vehicle were not dead – and this prompted the coup plotters to return a second time to, again, open fire on the car in order to finish them off. He passed out. 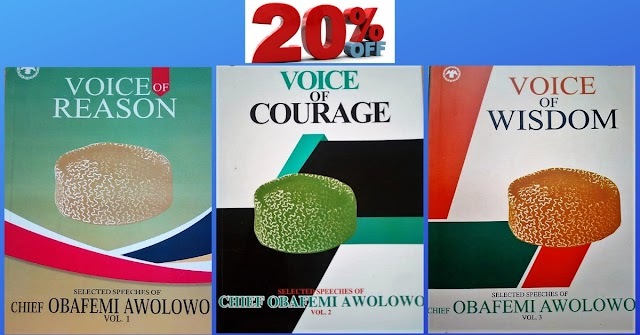 According to Otuwu, Generals TY Danjuma and Olusegun Obasanjo were lucky because they were also targets but escaped because they did not leave for their offices as early as Murtala did and they heard the radio announcement which may have fatefully altered their movement plans. 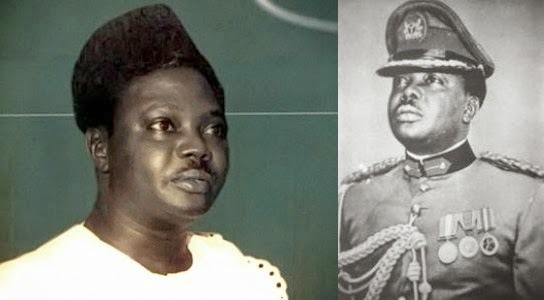 According to Otuwu, who enlisted in the Nigeria Army in 11 September, 1967, he had moved early that morning with the late Head of State from his Ikoyi residence to Dodan Barracks because the overthrown General Yakubu Gowon had not evacuated the official residence and it was not yet renovated. His words: "I was his Orderly throughout to his last day during the Dimka coup. I was inside the car with him when he was killed. "On the morning of that February 13, we were going to the office. Sergeant Adamu Michika was the driver; Sergeant Akintunde Akinterinwa, his ADC, sat behind the driver. As an Orderly, I was in front with the driver. "While the Head of State sat behind me - I was the one who opens the door for him. That fateful day I came up in the morning to carry him to the office in Dodan Barracks. We got to the former Secretariat, now at Ikoyi, which was under construction. Before the place they call Alag bon junction, near the labour office. The official car was a Mercedes Benz 600. It is still at the National Museum. There were about four or five vehicles in front of us. You know at that junction there was traffic. We didn't go with sirens. During his time we didn't go with escorts with the accompanying out-riders, road-closed signs and all that. So when we got to the Alagbon junction, the traffic warden stopped the vehicle and we were in the queue. We were the fifth or sixth vehicle behind the forward vehicles that were stopped. That secretariat was under construction. They put zincs around the compound behind that secretariat. Then some soldiers came in Agbada carrying AK-47 rifles. "They wore uniforms but covered them with Agbada. They had their Kalashnikovs with Agbada cover-up in form of camouflage. We never knew they were even waiting for us. Then one soldier from Golf Road shot and got our driver, Sergeant Michika. Our motor was neutralized. "Between me and the driver was an arm-rest. On that arm-rest was Oga's brief case. In this brief case he puts civil dress he could use as needed. When he wants to go to Mosque, he does not like going back to Ikoyi to change. "Then some other soldiers converged on us. I can't recall their number. They began to spray us from the back. All of us took cover. I fell on top of the driver; the blood of the driver covered my head. They thought the bullet got my head. "After the first shooting and without return of fire they must have assumed that we were all dead. The shooting was actually in two phases. They ran to the NBC to announce the assassination. They shared themselves into three. "There was a group waiting for Obasanjo when he was about to go to the office. Also another group was waiting for TY Danjuma at Bourdillon – our own was at Ikoyi Road. It happened we were the first target that moved early from the house to the office. "Before Obasanjo and TY Danjuma moved to their offices they have already heard the radio announcement. By the time of the first shooting, we being the target and their running to NBC to go and announce that they have already finished their assignment, the ADC who was still alive, thinking they were gone, opened the door of the Benz. "In the first spraying of the car, except the driver who was killed, the three of us were injured but not dead. On observing the car door opening, one of the attackers, still within range, a Major, called to the others: "he never die, he never die." He was calling his group to return. "This time around when they came back they finished their entire magazines. That was what happened. They carried everybody to the mortuary at Igbosere Hospital, not far from Kam Salem Police Headquarters. Because of the extreme cold of the mortuary, my left hand started shaking and one of the attendants saw it and called the nurses or doctors and said somebody was still alive. "From there they checked and confirmed I was still breathing. So they had to look for a vehicle to carry me to Dodan Barracks. From Dodan Barracks they looked for an ambulance and carried me to a hospital, Awolowo Road hospital, a military hospital." Otuwu, who hails from Kogi State, spent six months in the hospital after his miraculous survival. He has not been recognized by the army or the state. Presently, he does a few jobs for late General Murtala's son, in Abuja. Click here to get great historical books and learn more.